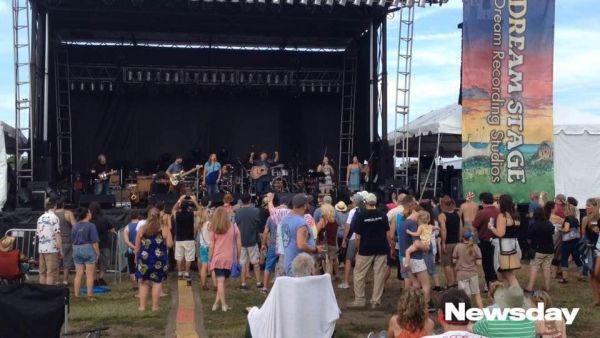 For a decade, the Great South Bay Music Festival has brought a diverse roster of musicians to Shorefront Park in Patchogue, becoming a summer staple on Long Island. The four-day festival concludes Sunday with Graham Nash, Railroad Earth, Colin Hay, NRBQ and John Sebastian. Folk Americana pop band Miles to Dayton has been playing the festival since day one and has grown along with it. They delivered a hot set on the Dream Stage on Saturday afternoon warming up the crowd before Main Squeeze, Dopapod, Blues Traveler and Umphrey’s McGee.